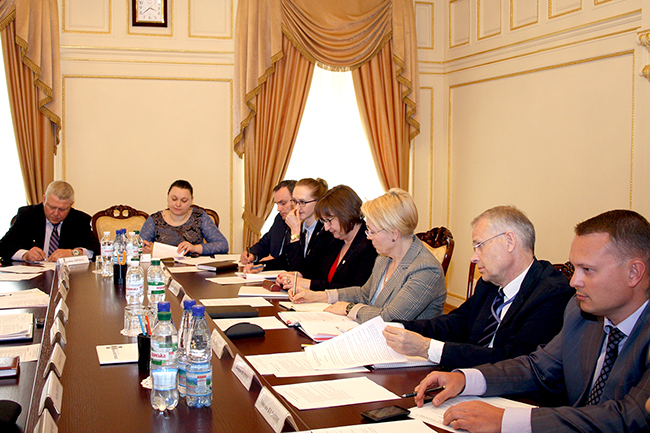 The International Advisory Group on Security Service of Ukraine (SSU) Reform met for the fourth time on Tuesday 5 April. This EUAM and NATO Liaison Office chaired group brings together senior officials and experts from Ukraine and the international community, including EU Member States, many of whom have undergone similar reforms in the recent past. The idea underlying the group is that the SSU of the future should concentrate on core security intelligence functions i.e. intelligence related to national security. The planned reforms will reduce the number of competences that the SSU is responsible for and are intended to lead to more streamlined, effective security intelligence. Currently the group is working on recommendations for the Concept on SSU Reform, which will be delivered in the next months. “The new structure is not only expected to deliver better security intelligence services, but should also strengthen democratic oversight over them. We have established a good working relationship with the SSU and our international partners and await the final concept with interest,” said Bo Renner, EUAM Domestic Security Strategic Adviser.